I like spring skiing best of all. We get to strip off the layers, the sun is high in the sky, and the hard conditions of the winter transform to soft easy skiing. After a decent season for snow and snow making, Hunter was looking really good for the weekend. 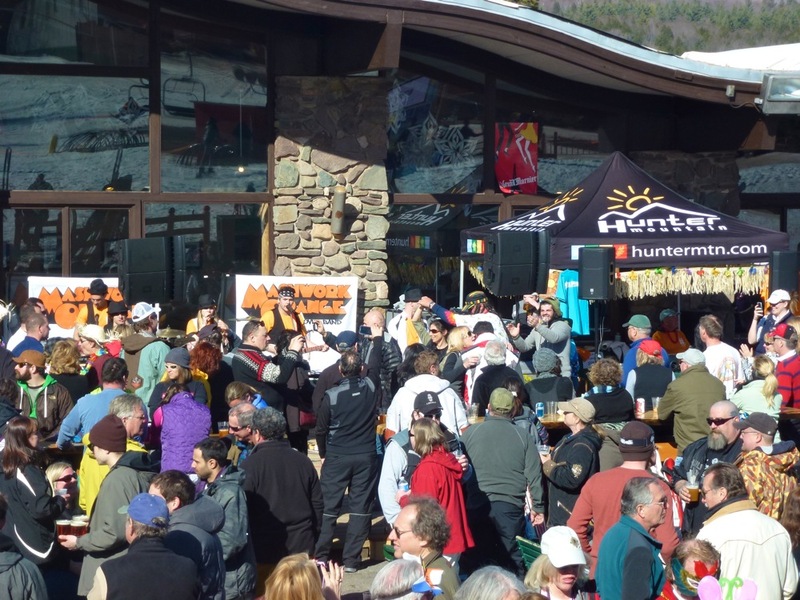 Saturday was Hunter’s Beach Bash and Pond Skimming Costume Contest. The sun was shining and there were blue skies, but with temps in the high teens and a 25mph wind, Hunter was in midwinter form. When I arrived, there was a thin layer of ice on top of the skimming pond. 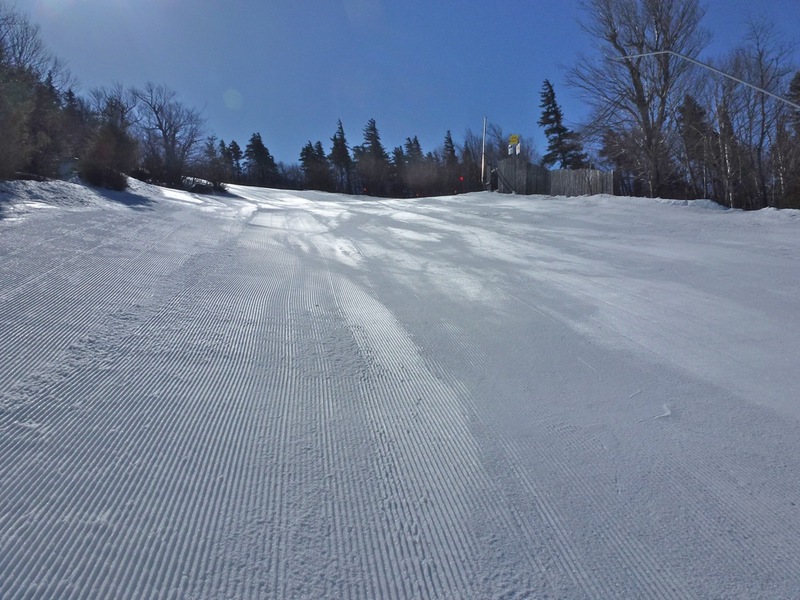 With the exception of a few trails the entire mountain was groomed and firm. Mogul runs remained closed until midday. Once again as skiers we’re reminded that the weather has its own agenda. I spent the morning on racing skis making high speed runs on the groomed trails. 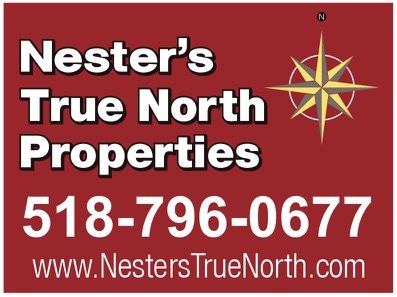 Wayout and Upper Clair’s were open on Hunter West. By mid-morning the Kaatskill Flyer’s corral was filled, but the wait was only five minutes. Eventually Hunter started the F Chair and that — combined with the day’s planned events — thinned the line. Throughout the morning I crossed paths with skiers and boarders in costumes. Spring skiing seems to cultivate a wholesome silliness. Eventually the April sun started to work its magic and trails on the main face started to soften. At the same time the patio outside the base lodge was slowly becoming a Beach Party. People were signing up for the Pond Skimming, the barbecue was doing a brisk business and the winds were dying down. After lunch I peeled off a few layers and switched skis for the soft snow. People were dropping their ski gear and heading to the lodge. The party was just getting started. 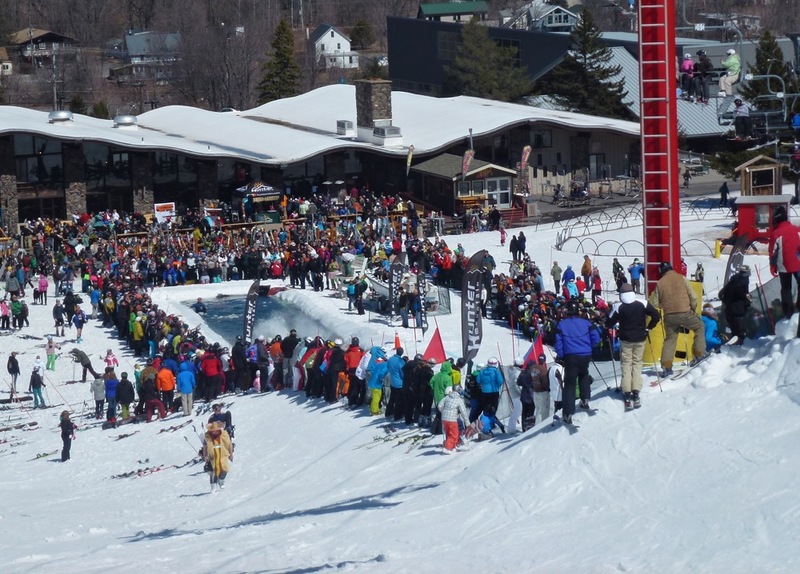 The Pond Skimming started around 1pm and there were lots of contestants and a good crowd watching. A large number of people in the crowd were not dressed for the slopes but dressed for the party. I watched a few contestants. Only a few skimmed the whole pond. The final wipe out was my cue to hit the trails again. I was able finally enjoy some spring conditions. I skied until my legs were wobbly. The lifts were running until around 4:30 as a nod to the sun still high in the sky. The Beach Bash was in full swing with a live band and the beer flowing. It was a great end to a great day. jj! When I saw that pic I wondered how much that water could REALLY warm up during the day, regardless of air temp. Sixteen at the summit at opening, not my idea of pond skimming weather. Truth be told, I’d never come off a snow covered hill to stop skiing and do a different sport at the base of the mountain. 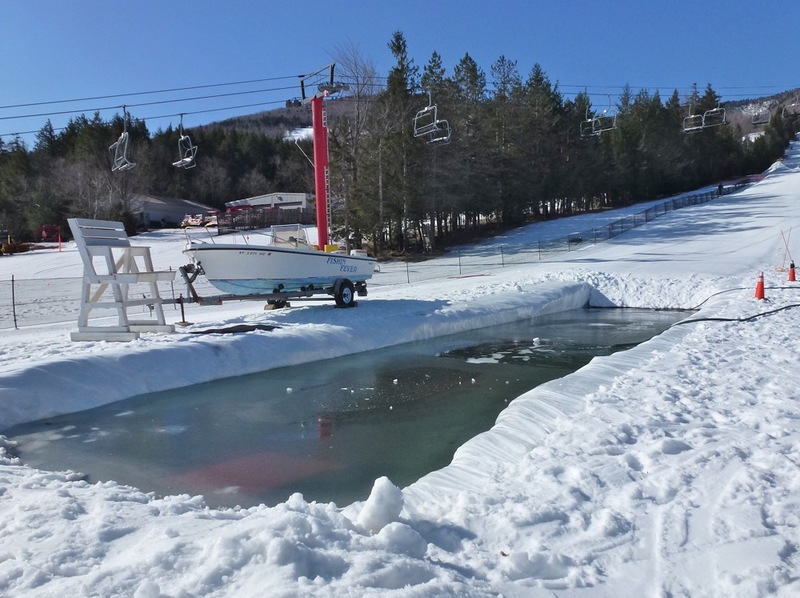 like pink floyd said (sort of), wish i was there… Not to pond skim though. Way too cold for that! Easter Sunday felt like spring, real spring, with temperatures in Ketchum soaring to above 60 degrees, accompanied by blue skies and a sun-shiny sun. It was an absolutely perfect morning for the annual Sun Valley Ski Patrol “Cold Bowl” pond skim, a hilarious event that attracted dozens of competitors for the chance to ski or board across a man-made (freezing cold) pond at the base of Dollar Mountain. With music that dared you not to get a groove on provided by DJ Train, a delicious outdoor barbecue and play-by-play action, the morning saw a lot of successful runs and some pretty spectacular splashy spills. All told, closing day on Dollar was one big party. 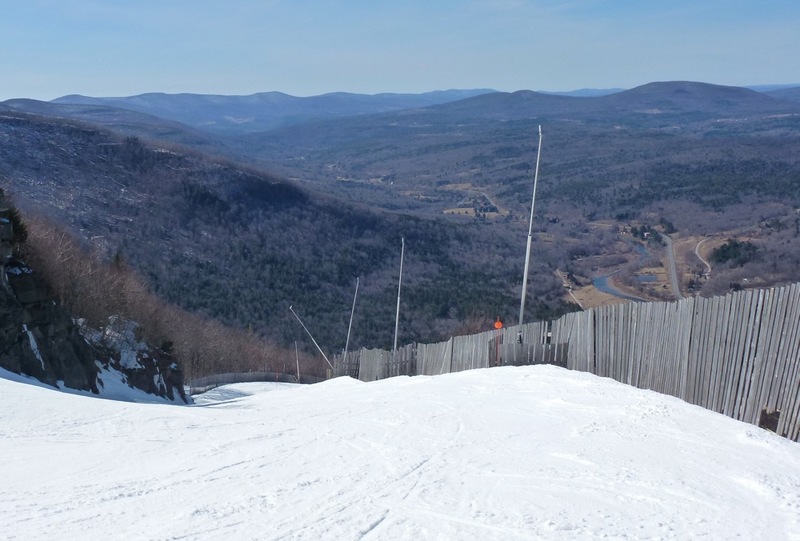 Both children and adults took the challenge, donning silly costumes (including a disproportionate number of bunny ears) and spent the entire day on the 22-foot Superpipe, the Rail Yard course, the Cross Park and more traditional runs.